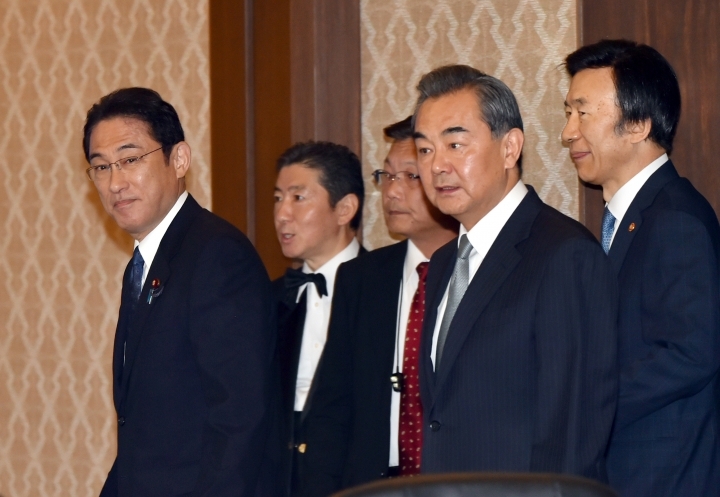 TOKYO — The foreign ministers of China, Japan and South Korea criticized North Korea's latest submarine missile test on Wednesday during their annual talks that were held amid lingering frictions over territorial disputes and wartime history. 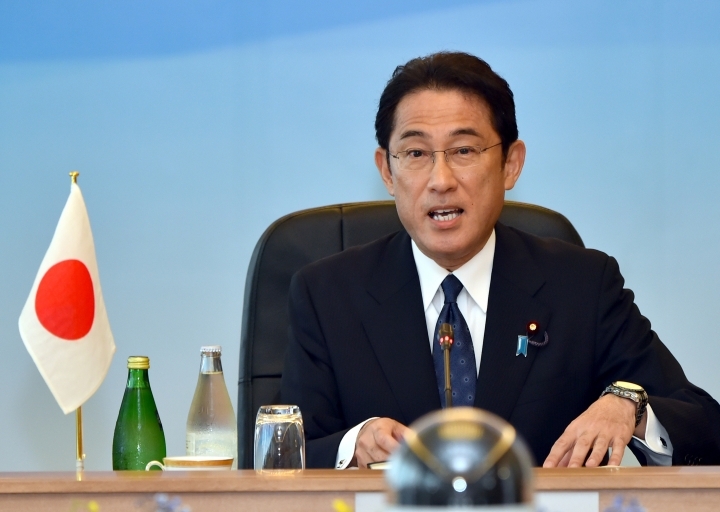 Japanese Foreign Minister Fumio Kishida, who chaired the meeting with China's Wang Yi and South Korea's Yun Byung-se, said that North Korea's missile launch "simply cannot be tolerated." North Korea fired a ballistic missile from a submarine into the Sea of Japan, South Korean and U.S. officials said. 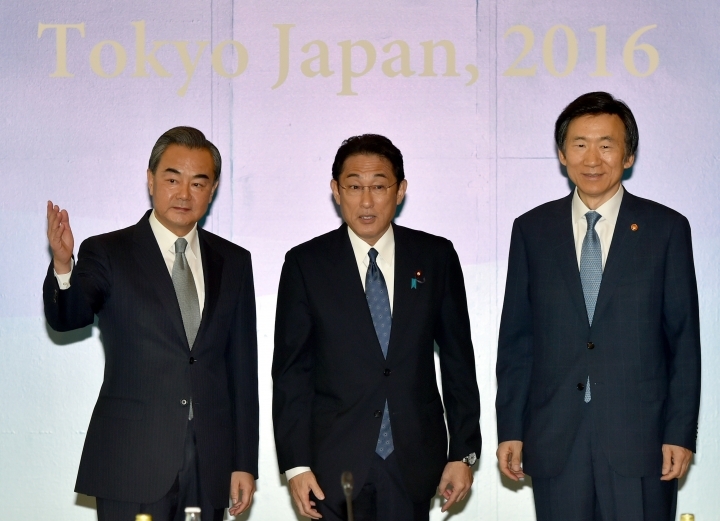 Kishida said Tokyo lodged a protest to the North over the missile, and urged his counterparts to step up cooperation as they face the latest development. 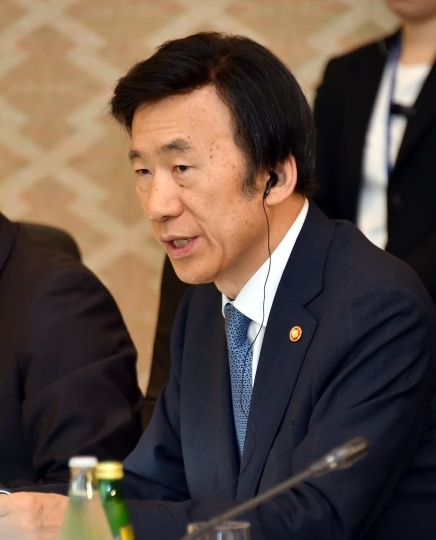 "I hope to coordinate closely in order for Japan, China and South Korea to lead the efforts of the international community," he said. 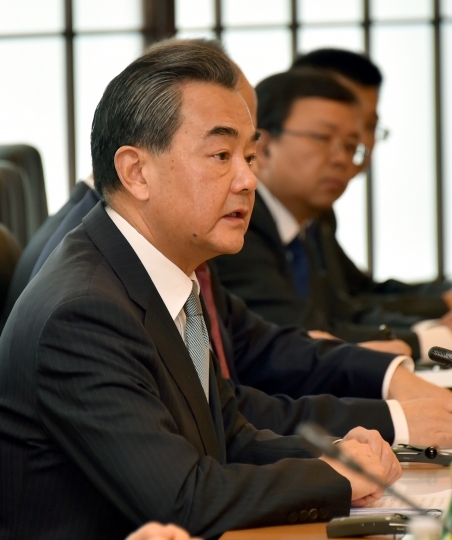 The three countries have quarreled on a number of issues, and their foreign ministers' meetings resumed only last year after a two-year hiatus because of strained Chinese-Japanese relations. Tensions between Tokyo and Beijing also remain high over disputed East China Sea islands. While expectations for concrete achievements at the talks were low, Japan was to offer details about the 1 billion yen ($1 million) fund that Tokyo promised as a way to atone for its wartime sexual abuse of South Korean women. 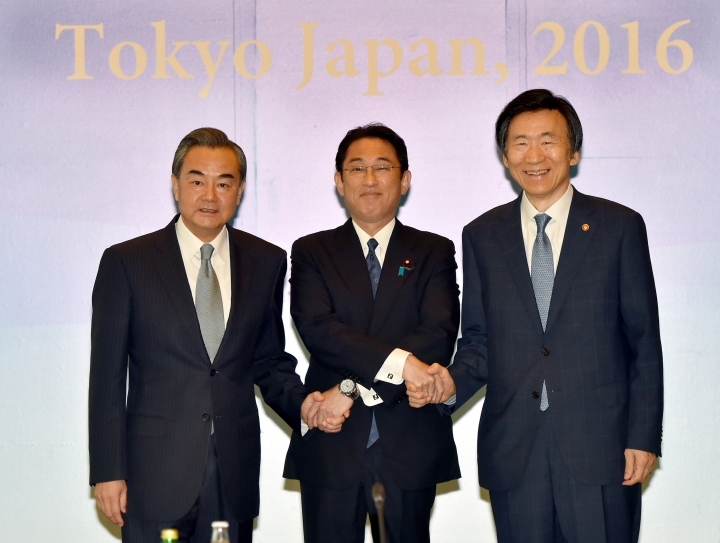 The fund is part of the landmark agreement reached by the two sides last December in a bid to resolve their decades-old row stemming from Japan's wartime actions. 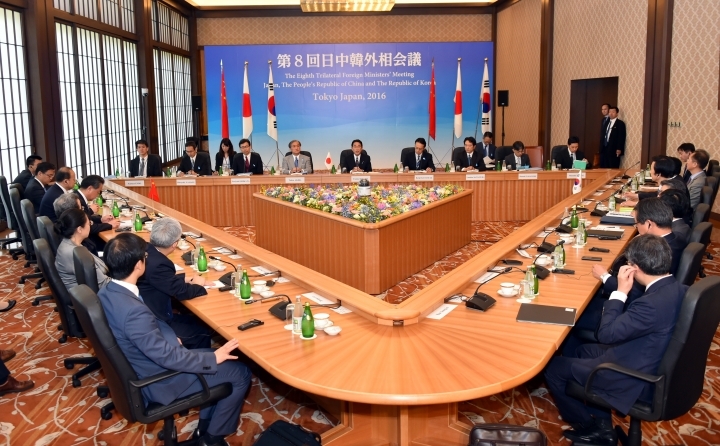 Japan's Cabinet was to approve details of the provision, provided to the women through a South Korean organization launched last month. Tensions between Tokyo and Beijing are high over claims to an uninhabited Japanese-controlled East China Sea island group, called Senkaku by Japan and Diaoyu by China. Ties between China and South Korea also have frayed recently after Seoul approved the deployment of a U.S. missile defense system against North Korea's threats that Beijing says will harm its security.